Welcome back to the Gridiron Experts Thursday Night Football Preview! Last week, I picked the Raiders to beat the 49ers as underdogs. Unfortunately, I didn’t foresee the breakout game by Nick Mullens, and the 49ers dominated Jon Gruden’s Raiders, winning 34-3. The show must go on, though and we’re onto Week 10! This Thursday Night, we’re in for a treat. 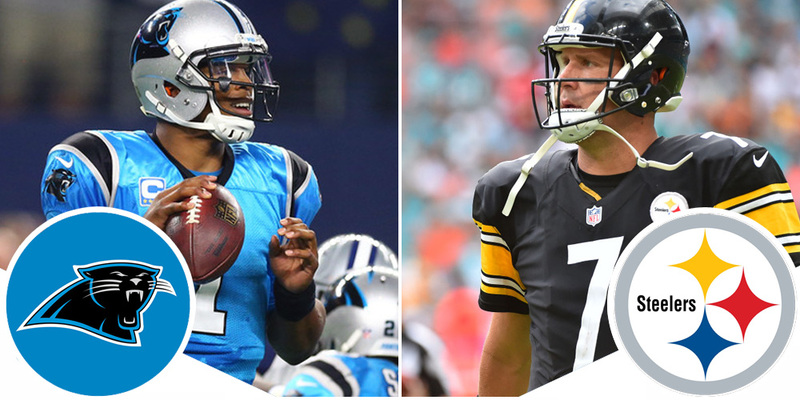 The Carolina Panthers (6-2) will head to the Steel City to take on the Pittsburgh Steelers (5-2-1). The host Steelers are currently (-4) favorites to take this week’s game. Last week, Ron Rivera’s squad knocked off Tampa Bay 42-28. Meanwhile, Big Ben & Co. won a tough Divisional game in Baltimore, 23-16. Both teams are on a hot streak currently, as the Panthers have won their last 3, and the Steelers have won 4 in a row. Carolina’s offense starts with Cam Newton, as it has since he entered the league. Now, in his 8th season, Newton is performing at the highest level he ever has. Through half a season, he’s thrown for 1893 yards and boasts a 15:4 TD to INT ratio. He’s also rushed for 342 yards and 4 TDs. If his success continues, he’ll finish with one of the best seasons of his career. Newton’s a true threat on the field as it is. But this year, he’s running even more. With 73 attempts, Cam is on pace to have a career high in carries and is on pace to threaten his career-best for rushing yards in a season. He’s been incredibly consistent as well, as he’s thrown at least 2 TD passes in every game since Week 2. With a shootout looming, look for Cam to sling the ball all night on Thursday. Cam’s first target is the Swiss Army Knife in the backfield, Christian McCaffrey. In his second season, McCaffrey is cementing himself with the league’s elite players. After posting an impressive 1,086 all-purpose yards last season, McCaffrey is on pace to shatter those numbers. Through 8 games, McCaffrey has posted 502 yards rushing, and 378 yards on 49 catches. When it’s all said and done, he’s on pace for 1,760 yards from scrimmage. Currently, he ranks 7th among RBs in that regard, behind only the most elite company. Last week against Tampa Bay, McCaffrey shined, posting 79 yards rushing and 2 TD while adding 5 catches for 78 receiving yards. With a lack of other elite receiving options, it should come as no surprise that the Stanford product has the most catches on the team. The Steelers have been fantastic against the run thus far this season, allowing opposing RBs to eclipse 100 yards only once so far. McCaffrey will surely have to be at his best Thursday. 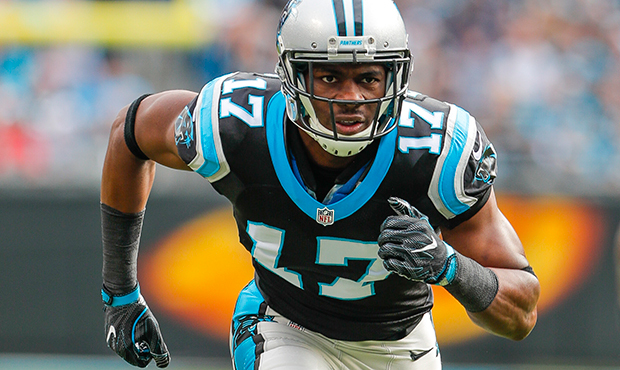 As far as the other pass catchers, veteran Devin Funchess leads the way this year. In his 4th season out of Michigan, Funchess has posted 445 yards receiving and 3 TD thus far. He’s aiming to eclipse 1,000 yards for the first time in his career and has a chance to do so with a strong second half. He’s been very consistent this year, catching anywhere from 3 to 7 balls per game. He hasn’t quite had a breakout yet but with this high powered Carolina offense, it might just be a matter of time. The receivers’ unit does show some promise, though. Rookie DJ Moore has flashed greatness this season, posting 90 yards on a tough Baltimore defense. The 1st round pick from Maryland will certainly need to grow and assert himself as the clear #2 as the season progresses. Curtis Samuel, in his second season out of Ohio State, is finally fully healthy, it seems. Last week, he provided a spark for the Panthers, with a highlight reel rushing TD, and adding a receiving TD to boot. The pieces are there for this unit to develop and become quite good. But for now, most of the targets will be shared between Funchess, McCaffrey, and veteran TE, Greg Olsen. Many feared Olsen would retire after his most recent foot injury, sustained in Week 1. It turned out that the injury was much more minor than thought, and he made it back after only missing 5 games. Since then, he’s posted 218 yards and 3 TDs. In his 12th season, Olsen will look to make a deep run into the playoffs. Olsen and Newton have quite the rapport, so Cam will undoubtedly look to Olsen in high-pressure moments and in the Red Zone. The Panthers are a bit banged up currently, as most teams are. Center Ryan Kalil missed practice both Monday and Tuesday with an ankle injury, but Rivera did seem hopeful the veteran would suit up Thursday. Safety Eric Reid has been limited with a shoulder injury (that he played through on Sunday.) Mario Addison, Captain Munnerlyn, and Olsen were also limited… but those statuses seem to be precautionary with less rest time than usual in between games. Coach Ron Rivera did mention that there wasn’t much cause for concern for any of the aforementioned players on Tuesday, but it’s still worth monitoring on a short week. Torrey Smith has been out with an injured knee and seems less likely to play. The opposing Steelers have been rolling as of late and doing so without their former All-Pro RB Le’Veon Bell. However, solely looking at the stat sheet, you’d never notice. Second-year RB James Conner has filled fantastically and has emerged as one of the league’s best backs. At the season’s midpoint, Conner’s 151 attempts have gone for 706 yards and 9 TDs. He’s added 379 yards and a TD receiving and ranks 2nd in the NFL in yards from scrimmage (1,085) behind only Todd Gurley. When you compare Conner’s stats to what Bell did in the first 8 games last year, you can tell why the Steelers haven’t missed Le’Veon, who is in the middle of a contract holdout. Through 8 games in 2017, Bell had 979 yards from scrimmage and 5 total TDs. The Steelers must be pleased with Conner’s production, as he outpaces Bell in both metrics; total yards from scrimmage and TDs. Conner will certainly need to have a strong performance against the Panthers’ stout run defense. Ben Roethlisberger is the unquestioned leader of this offense, as he has been since he entered the league in 2004 out of Miami (OH). 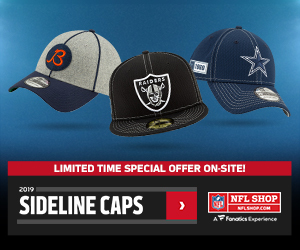 Big Ben has had a hall of fame caliber career and has proven to be one of the most durable players in recent memory, despite seemingly always being dinged up. This season has been no exception, as Ben is on pace to set career highs in passing attempts, passing yards, and touchdowns. Should he continue at this clip, he’ll throw the ball 688 times this season… Which is a staggeringly high number, especially for a 15-year veteran. Currently, Ben is battling a finger injury, which he played through last week. It didn’t look to affect him too much, but he still started out the week with a DNP designation on Tuesday. There doesn’t seem to be major concern he’ll miss this contest. With an average-at-best Carolina secondary lining up across from him, look for Ben to throw the ball all night, and keep on his historic pace for attempts. It’s worth noting, though, that Tackle Marcus Gilbert has missed two consecutive games with a knee injury. He’s still not practicing and doesn’t seem likely to play this week unless something changes. Lucky for Ben, he’s got some stellar players to throw to. In addition to Conner out of the backfield, the Steelers have one of the best 1-2 punches in football with Antonio Brown and JuJu Smith-Schuster. Brown has consistently been one of the best receivers in football. Since 2013, Brown has averaged 1,570 yards and just under 7 TDs per season… now that’s production. This season, Brown already has 9 TDs, but his yardage total is a bit more muted than it has been in the past (compared to his lofty standards.) He does still rank in the Top 20 of the league with 594 yards. He’s also scored a TD in every game this season except 1, continuing to be a model of consistency. Brown will look to dominate the Panthers’ secondary on Thursday, and add to his already phenomenal totals. JuJu Smith-Schuster currently leads the Steelers in receiving yards with 672 on 53 catches. That yardage total is currently good for 13th in the league among receivers– not bad for a 21-year-old. Although he only has 2 TDs, it’s clear that JuJu has made quite the leap. As a rookie, he posted a phenomenal 917 yards on 58 catches, adding 7 TDs. Smith-Schuster has already almost eclipsed his catch total from 2017 in only 8 games and is on pace to surpass his yardage total by a longshot. One of the league’s most charismatic players, Pittsburgh is quite glad to have the youngster across the field from Brown, and he’ll certainly be a fixture for years to come. In addition to Conner and the dynamic duo of receivers, there’s a strong veteran platoon at tight end. Vance McDonald and Jesse James have shared duties this season, amassing a combined 47 catches for 682 yards and 2 TD. If you combined the two into one player, they’d actually be 3rd in the NFL among TEs in receiving yards and receptions alike. Clearly, Big Ben is spoiled with a plethora of options and will look to spread it around on Thursday Night. On the defensive side of the ball, the Steelers are a well-rounded unit. Jon Bostic and TJ Watt each have 29 tackles, but its Watt’s 7 sacks (11th in the NFL) that make him the rising star of the bunch. Pittsburgh ranks 4th in the NFL with 26 sacks… but their production is spread out. Six different players have logged 2.5 or more sacks, meaning that opposing QBs need to keep their head on a swivel. Cameron Heyward is one of those players, logging 2.5 sacks so far this year, and providing a veteran presence to help develop Watt. They’ll need that pass rush to rattle Newton on Thursday night and keep his legs in check. In the secondary, veterans Joe Haden & Artie Burns are the top two options, combined with rookie FS Terrell Edmunds out of Virginia Tech. The Panthers offense, carried by Newton and McCaffrey, has so many ways to be effective. It’ll be crucial for Pittsburgh to keep an eye on both of these dual-threats throughout the night. The Panthers’ task is no easier, as the Steelers’ offense ranks 4th in the league with 415 yards per game. While their secondary allows a below-average 250 yards per game through the air, they make up for it with turnovers. Carolina ranks 4th in the NFL, having forced 11 interceptions through 8 games. With Roethlisberger sure to throw the ball a ton, the Panthers will need to try and add a few more in this contest. Linebacker Luke Kuechly is one of the league’s best yet again this season. Finally healthy, the Boston College product ranks 16th in tackles, despite already having his bye week. He’s also added 2 sacks, an interception, and forced a fumble. Along with fellow LBs Shaq Thompson and Thomas Davis, Kuechly will have to help clog up the middle and monitor RB James Conner. Along the line, the Panthers boast one of the league’s best fronts with Kawann Short and Dontari Poe manning the middle. Veteran Julius Peppers has paired with Mario Addison to create a fearsome pass rush as well. Addison’s 7.5 sacks rank 9th in the league. In the secondary, DBs James Bradberry and Donte Jackson will be responsible for slowing down JuJu and Antonio Brown, with the help of safeties Mike Adams and Eric Reid. Again, turnovers could be crucial in this contest… which is good news for the Panthers. Jackson’s 4 INTs are tied for the league lead, and Mike Adams is only 1 behind him. Look for these playmakers to challenge Big Ben in this one. Well, this week is quite the opposite of last week with the teams combining for an 11-4-1 record. The game total is set at 52 in this one, and I like the over. I think that these teams will play a close game, trading big plays, and putting up big offensive numbers. 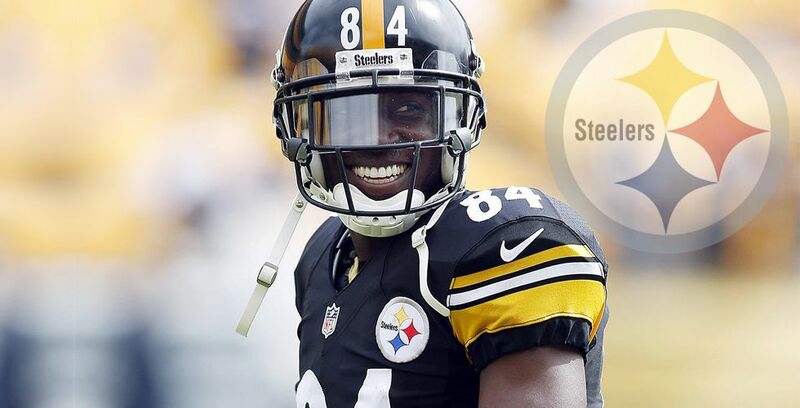 While the Panthers have proven that they can make big plays in the secondary, I love Antonio Brown and JuJu in this game and think that they could combine for an impressive showing. With a low of 37 degrees in the forecast, it’s possible that the cold will affect the Panthers, and that’s certainly a factor in this contest. It’s not easy to beat the Steelers at Heinz Field, and I think that their veteran presence will give them the edge in what I think will be a very close game. I see this one as a one-score game in the 4th quarter and both Cam and Ben throwing the ball as time winds down. In that scenario, I trust the Steelers’ receivers to get open more than I do the young Panthers WR corps. That could be the difference. I’ll take the Steelers to win at home 30-23, covering the (-4) spread in the process.